Kelvin J. 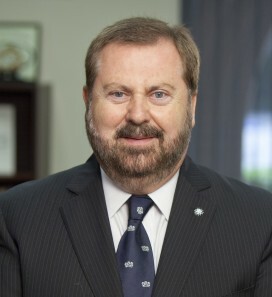 A. Davies, PhD, DSc, FRSC, FRCP is the James E. Birren Chair of Gerontology. Davies was born and raised in London, England and is a dual citizen of Great Britain and the U.S.A. Educated at London University, Liverpool & Lancaster Universities, the University of Wisconsin, the University of California at Berkeley, and Harvard, he was previously a faculty member at Harvard University and Harvard Medical School. Before moving to USC’s Andrus Gerontology Center in 1996, Davies was Chairman of the Department of Biochemistry & Molecular Biology at the Albany Medical College in New York, where he was also John A. Muntz University Professor and Distinguished Professor of Molecular Medicine. Deeply involved in research into oxidative stress and free radicals, Davies is the (founding) Editor-in-Chief of the premier scientific journal in the field, Free Radical Biology & Medicine. Davies is a Fellow of the Oxygen Society; a Fellow of the Society for Free Radical Biology & Medicine; a Fellow of the Gerontological Society of America; a Fellow of the American Association for the Advancement of Science; a Fellow of the Royal Society of Chemistry; a Fellow of the Royal Society of Biology, a Fellow of the Royal Society of Medicine; a Fellow of the Royal College of Physicians of Edinburgh; a Fellow of the Royal Institution of Great Britain, and a Fellow of Academia Europaea (the Academy of Europe). He is the winner of several prizes and awards, including the Harwood S. Belding award of the American Physiological Society, the Sir Arthur Harden Trophy, the Bari Prize in Biochemistry & Molecular Biology, the Gold Medal of the European Society for Free Radical Research, the Lifetime Scientific Achievement Award of the Society for Redox Biology & Medicine, Mellon Mentoring Awards, the Chester M. Southern Outstanding Career Achievement Award, the Trevor Slater Gold Medal and Lectureship of the International Society for Free Radical Research, the Hiram J. Friedsam Mentorship Achievement Award of AGHE and GSA, and the Denham Harman Lifetime Scientific Achievement Award of the American Aging Association. Davies has been awarded some 15 honorary doctoral degrees and professorships from European, American, and Asian Universities. He is past President of the Society for Free Radical Biology & Medicine and the International Society for Free Radical Research. In 1996, he was named the National Parkinson Foundation Scholar. In 2012, Davies was knighted as a Chevalier de l’Ordre National du Mérite de France (Knight, National Order of Merit of France) by the President of France, and in 2018 he was promoted to the rank of Officer. Davies’ research centers on the role of free radicals and oxidative stress in biology for which he coined the term, “The Oxygen Paradox.” In particular he is interested in genes that repair oxidatively damaged proteins, lipids, RNA, and DNA, and his laboratory has made major contributions to our understanding of this subject over the past thirty years. Davies discovered key roles free radicals play in exercise, and in mitochondrial redox-cycling-dependent cardiotoxicity of the chemotherapy drug Adriamycin. He uncovered stress-protection by Proteasome and the Lon protease, discovered several stress-related genes, including RCAN1 which contributes to Alzheimer disease, Down syndrome, and Huntington disease. Davies demonstrated that impaired induction of the Proteasome and of the mitochondrial Lon protease genes contributes to senescence and severely diminished stress-resistance in aging. He developed the concept of Adaptive Homeostasis and has demonstrated the significance of its decline in both aging and chronic diseases. At the Leonard Davis School of Gerontology, Davies is focusing his research on the regulation of oxidative stress repair genes during aging. His laboratory is involved in biochemical, molecular biology, and genetic studies of both normal aging processes, and aging pathologies such as cardiovascular, Alzheimer and Huntington diseases and sarcopenia. Gero 310 Physiology of Aging (4, Fa) Effects of normative aging processes on homeostatic mechanisms and how these changes relate to development of disorder and disease in later life. Lecture and discussion. Prerequisite: BISC 220L or BISC 221L. Gero 510 Physiology of Development and Aging (4, Sp) Examination of lifespan physiology of human development, growth, and aging; major emphasis in the physiology of the later years and implications for health maintenance. Emphasizes the molecular and cellular biology of aging and age-related pathology and other aspects of basic aging research, including evolutionary biology, demography, epidemiology and bioinformatics. Explores concepts of molecular and genetic regulation of healthy aging, lifespan, and age-related diseases. Critical analyses of primary scientific data and interpretations presented in the literature. Explores the chemical and physical-chemical nature of free radicals and related reactive species. Examines the roles of antioxidants and how they work.